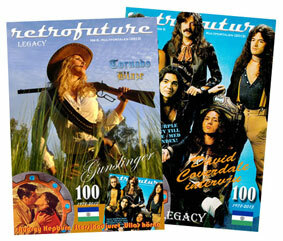 The double issue will be published with the “rock edition” with Deep Purple on the cover first (in June). The “western edition” will follow in the fall after the holidays. 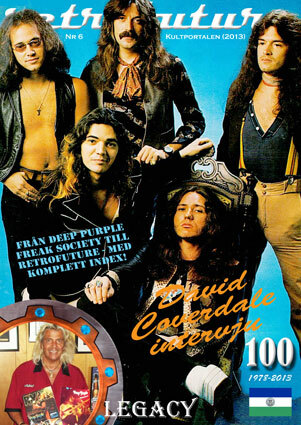 Copies of this first edition will be available Stateside through Johnnie Bolin, who is interviewed about his brother (one time Purple guitarist) Tommy Bolin. More information about this when the time is right. Two articles are in english, the interviews with Mr Bolin and David Coverdale. A nod from me to the fans outside of Sweden. As for the contents of this 100 page double issue bonanza, I can honestly say that I have never been happier with a publication. I have spent months on this project, making sure it will be special. This hobby is coming closer to the end (2015) and I want to go out with a bang. It will cost me to do it but wrapping things up nicely is important to me. So, June it is. The festivities starts then.